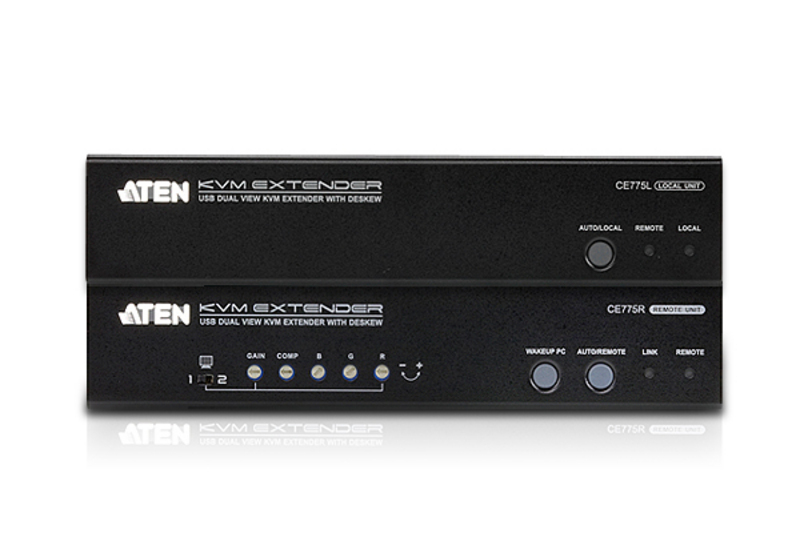 ATEN CE775 Dual View KVM Extenders with Deskew function allows access to a computer system from a remote Dual View console up to 300 m away. 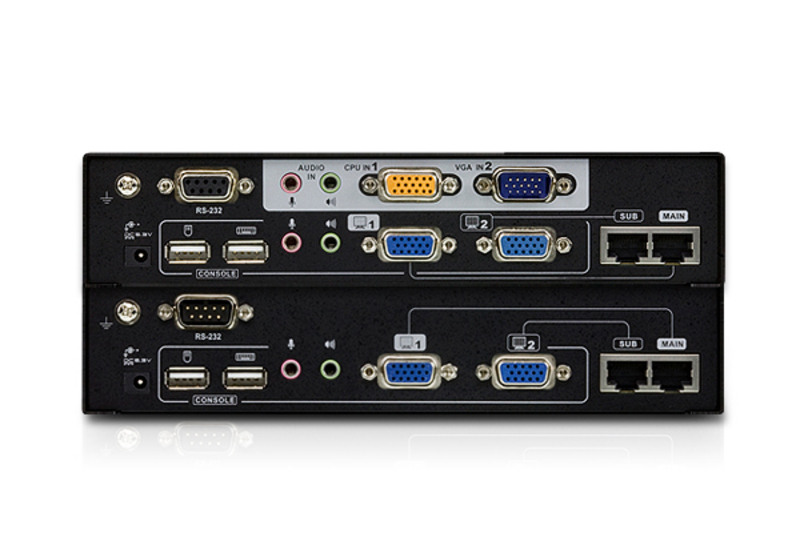 The dual view function provides support for two displays, allowing the video output to seamlessly display on two monitors. 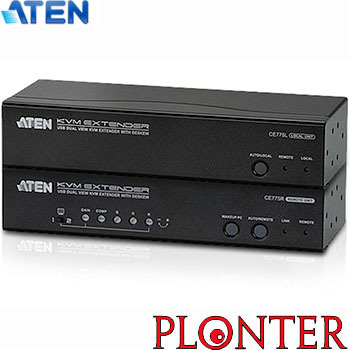 Its advanced PC Wake - Up feature that allows you simply uses a push button from the remote dual view console to wake a PC at the local site via RS-232, no need to go to the local site to wake up the PC. 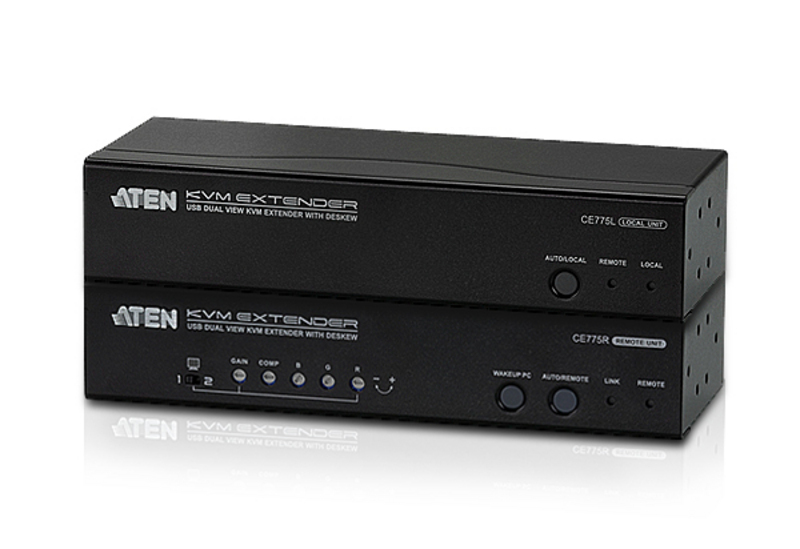 It eliminates the need for traveling back and forth between the local computer and remote console, efficient and flexible.